In many instances, the plastic bag manufacturing process today often combines recyclable bags as part of their development. But whether recycled bags are used are not, there are some fundamental methods that still apply. The plastic bags we use everyday are usually made from granules of linear low-density polyethylene (LLDPE) resin that is combined with low-density polyethylene (LDPE) in a mixer. The result is a perfectly homogeneous composition of blended material. The granules are then melted in a plastics extruder with a heat temperature ranging from 356 – 465 degrees Fahrenheit. The result is a film of polyethylene in the form of a tube that is several hundred feet in length with a minimum thickness of 2/10,000s of an inch and a circumference of 20 inches. After the polyethylene tube has gradually cooled down it flattened by rollers, making it much easier to work with. The tube is then cut on two sides to form two separate rolls. A knife then cuts each roll to a predetermined width. The excess polyethylene stripping is also recovered for further use. >We have now produced several hundred feet of film that can now be turned into rolls that weigh approximately 348 lbs and, cut to specification, can produce 35,000 bags. Bags can now be made to order with labeling and branding made from alcohol-based ink of various colors. The print is impressed on the bags by inking rollers. After concluding the printing process the polyethylene is rolled up once again. 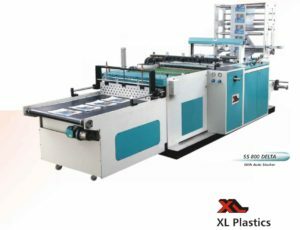 Now, machines that can make 150 bags per minute begin a cutting operation and a sealer then binds the edges of the bags together with heat. 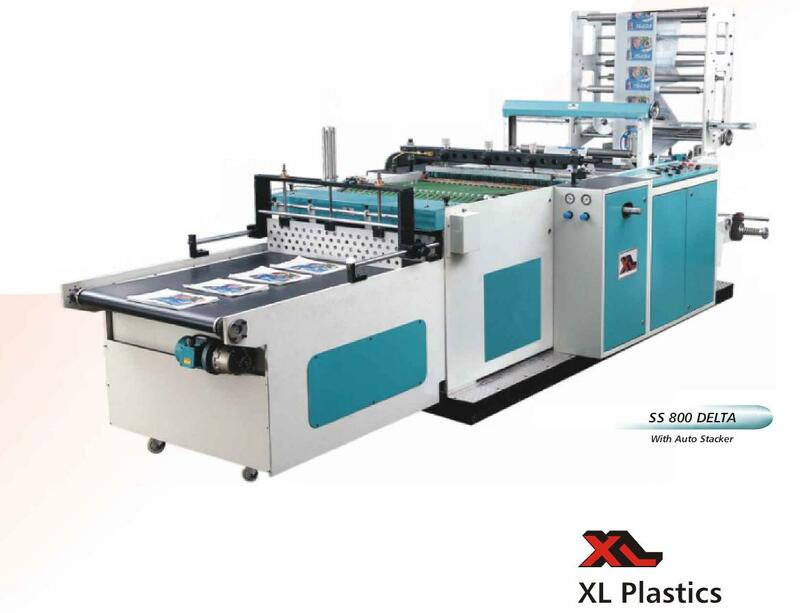 As the the plastic bag manufacturing process concludes, the completed bags are automatically placed on spindles that can hold about 250 bags each. At this point the bags, printed and ready for use, can now be manufactured with more specific renderings by adding pre-made accouterments like zippers, handles or air holes.